Indian air force resides in the heart of every Indian making us proud of them. Along with conquering the skies, it has also conquered our heart and soul. 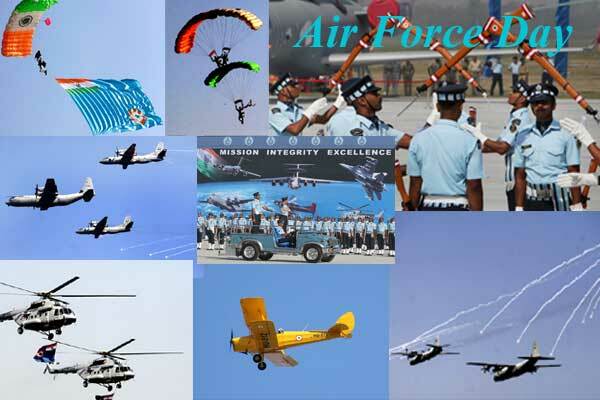 On Indian Air Force Day, we the citizens of India, pay a tribute to them. The Indian Air Force also called as the Bhartiya Vayu Sena came into existence on 8th October 1932; so every year on this date we celebrate The Indian Air Force Day. This year on 8th October, Thursday, the 83rd anniversary will be celebrated all over India on a grandeur level. The main event of the day will be conducted at the Air Force Station Hindon (Ghaziabad). We all should be proud of the fact that our Indian Air Force is the world’s 4th largest air force. 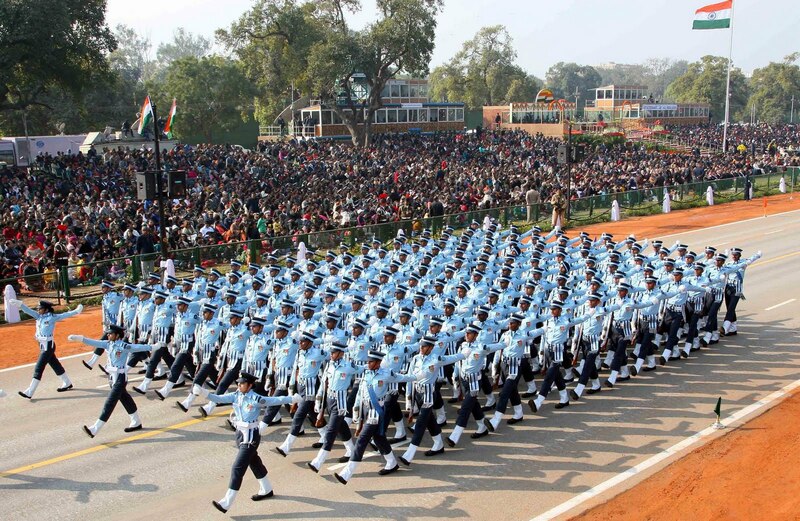 The prime duty of the Indian Air Force, which is the air arm of the Indian armed forces is to secure the Indian airspace and also to carry out the aerial conflict during any clash or emergency. Till date, the Indian Air Force has been a part of four wars with the neighbouring Pakistan, and one with China post independence. The Indian Air Force has also been involved in the United Nations peacemaking missions. I’m pretty sure that you are aware about a fact that the air force has the strength of about 170,000 personnel and more than 1400 air-crafts. No wonder why we are considered one of the leading air forces of the world. 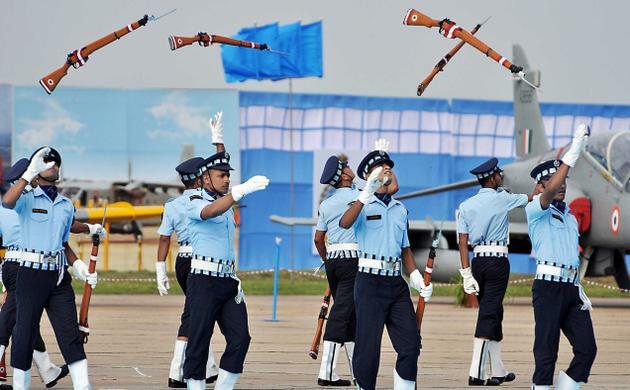 On the air force day, the event commences with a parade. Post that we see a brilliant air display by various air-crafts that becomes the hallmark of the event. Dolphin leap is one of the activity followed by a colourful display by other air-crafts and helicopters. Once the event starts, the Commander in Chief administers the oath of allegiance to all the air warriors and also to the civilian personnel for dedicating their lives for the nation. The oath ceremony is the highlight of the celebration that is conducted with full military traditions. 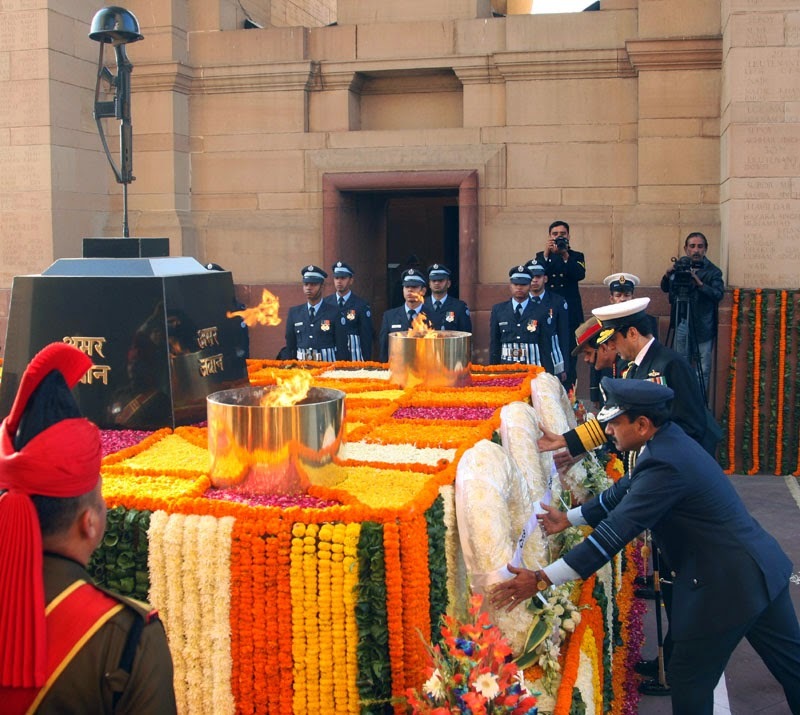 A tribute is paid to all the brave hearts of the air force who have given their lives in the service of the nation. This is done during the wreath laying ceremony; another important event of the day. In the capital of our nation, Delhi, an homage is paid to the martyrs at “Amar Jawan Jyoti” who gave away their life for protecting our motherland. A floral reed is laid down by the chief of air force, army and navy as a mark of honour and tribute. During the event, contribution of every individual during the various missions is talked about and appreciated. Various awards and medals of honour are given to the air warriors considering their achievements in last one year. At the end of the event, the celebration is concluded by passing through the tunnel of rotating rifles. This activity is known as the “Rifle Drill” and requires intense mind-body coordination to perform it successfully. At the end of every event you will see that senior dignitaries from the civil administration and armed forces and veteran air force officers come together in the evening known as “Social Evening”. My chest swell with pride after sharing all these details with you all and I really can’t wait any longer to witness this day.